Troy Taylor in his book entitled, The Big Book of Illinois Ghost Stories * shares the following story about Dug Hill Road located in southern Illinois. Many years ago the children of the residents of Egypt, Illinois were afraid of a monster known as the booger. This monster was not just based on a fictional story but instead was considered by many adults to be real. Taylor in his book shares one man’s story. Frank Corzine is believed to have encountered this booger or boogeyman. Corzine’s wife was ill and one night he rode his horse across Dug Hill to fetch the local doctor. 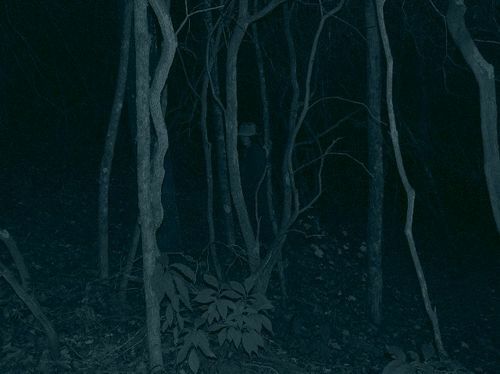 As Corzine traveled down one narrow trail he saw a dark figure standing in the distance at the edge of the woods. He described this figure as being at least 8 feet tall. It wore a white shirt and dark pants. Corzine noted it had a long scarf flung over its shoulders. Corzine became frightened when this figure who was initially several yards away from him was able to move quickly to his side. Not stopping to think Corzine kicked his horse into a fast run. He was startled to see that this dark figure despite it being on foot was able to keep up with him even after he urged his mount to move faster. Corzine managed to ride out of the cut uninjured. At this point the figure disappeared. 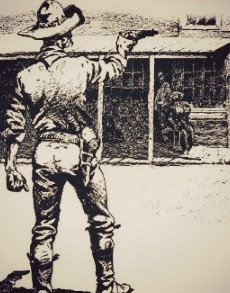 As he rode into Dr. Russell’s yard this man noted he was pale and his horse was stomping and snorting. Corzine told the doctor what he had seen. The doctor believed him for just a few nights before he had encountered the same mysterious dark figure. The description Corzine gave matched his own. The doctor refused to return to tend to Corzine’s wife stating they should wait for daylight. Corzine fearful his wife was going to die convinced him to change his mind but not before he gathered 8 of the doctor’s neighbors together. These men armed with shotguns escorted Corzine and Dr. Russell through the Dug Hill cut. The strange dark figure did not appear again that night. Nor has anyone seen it since. Read two other old ghost stories that take place along Dug Hill Road in, Ghosts of Dug Hill, Part l.
* Troy Taylor’s book is available in the Amazon Kindle store. It is also available in print at Stackpole Books here. In years past settlers in the interior of southern Illinois used a rough “cut” through the hills near Jonesboro, Illinois to reach the Mississippi River. This cut was known as Dug Hill Road. 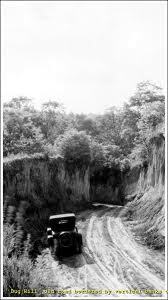 Today this road located 5 miles west of Jonesboro on State Highway 126 has lost its rustic appearance but in the 1860s it was a dark secluded spot that posed many dangers to both the locals and travelers that used it. For this reason Dug Hill gained a reputation as being one of the haunted roads in southern Illinois. 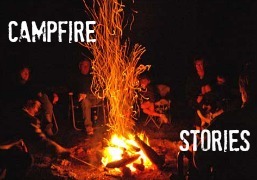 Stories of strange sights were often told and with each telling these legends grew. Here are two of these stories. In April of 1865 near the end of the Civil War, a Marshall by the name of Welsh arrested 3 deserters from the Union army. He did not treat these men kindly. He took them to Jonesboro and turned them over to the authorities. A few days after these men were jailed word reached Illinois that the war had ended--General Lee had surrendered at Virginia. These 3 men were then released. They were bitter and angry at how Welch had treated them and they set out to get revenge. One late evening as Welch passed through the cut heading home these men lay in wait. They shot and killed him as he rode by. They left him lying in the middle of Dug Hill Road. Welch’s body was found quickly but these 3 men were never arrested or punished for this crime. Soon after Welch’s death local farmers and travelers who passed through the cut started to report unusual activity. Welch’s ghost was seen walking along this road wearing bloody clothing. Several witnesses stated that he pleaded for help--as they approached he just vanished. More often his ghost was seen lying in the center of the dusty trail. One wagon driver traveling through the cut spotted a man lying facedown in the road. He stopped his team and climbed down to see if he could help. When he leaned down to turn the man over, his hands passed right through him. He tried once more but his hands only touched the dirt beneath the body. Terrified, he ran to his wagon. He urged his horses forward. 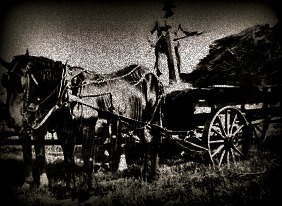 As he reached the spot where the body lay he felt a bump as his wagon wheels went over the phantom corpse. He looked back and saw that the body was no longer there. Yet another strange sight seen along Dug Hill Road is that of a ghostly wagon. One cold dark snowy night in December a farmer named Bill Smith was driving his team of horses through the cut. He had to stop because the harness had slipped off one of his horses. As he repositioned it he heard a disturbing sound approaching him from down the road. He heard the loud crushing sound of wagon wheels in the crusted snow approaching his position quickly. A chill ran down his spine. The wagon was approaching too fast and he knew the narrow road would not accommodate both wagons. If he could not move his wagon or call out a warning both drivers would be killed. He yelled loudly into the darkness but he feared the other driver had not heard him over the racket. He was right for the other wagon drew closer. In a panic, he attempted to move his wagon. At any moment the two wagons would crash but then the farmer saw a shocking sight. The other wagon did crest the hill but the noise was no longer coming from the road. He looked up to see a man fiercely whipping two black horses. This flying wagon then disappeared from view and its loud crushing noises slowly faded away. Yet another legend connected to Dug Hill Road I first read about in Troy Taylor’s book. This legend is about a mythical creature or boogeyman. Read about it in Ghosts of Dug Hill, Part ll. In August of 1943 an engineer at the controls of a Lackawanna train out of Cleveland, Ohio was traveling along an upstate New York line. He was 20 minutes late as he hit a bend going 70 miles an hour--this is when he saw another locomotive pulling onto the track. An engineer and others in the Wayland rail yard thought the Lackawanna train had already passed through when they pulled out on the track. More than 171 people died or were injured when these two trains collided. 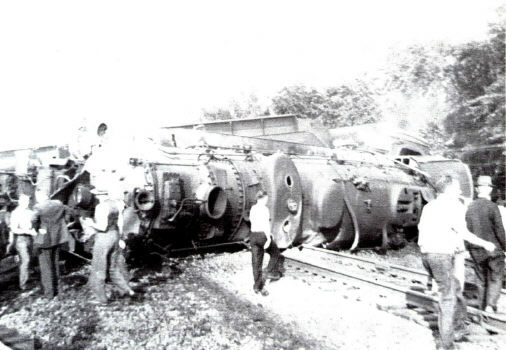 Those who did not die directly from the impact were killed when one passenger car connected to the Lackawanna locomotive turned over--steam then spewed into this car taking more lives. This passenger car in 2013 was at the old unused Baltimore and Ohio train roundhouse getting a fresh coat of paint. The Midwest Railway Preservation Society uses this old roundhouse in Cleveland Flats to restore old train cars to sell them. One volunteer, Charlie Sedgley who works for the society restoring cars believes he encountered at least 17 separate ghosts in the 1943 wrecked passenger car. 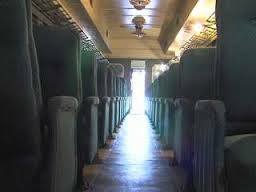 The society gives tours of the old train cars they restore. A trustee of the organization, Steve Karpos was leading one of these tours when he led his group into the Death Car. The activity became so pronounced that the society decided to let several professional paranormal groups investigate. One group recorded some unusual sounds coming from the Death Car. The volunteers at the old train yard took this activity in stride. Most felt that if the passenger car was indeed haunted by the victims of the 1943 wreck-- their ghosts were more than welcome. 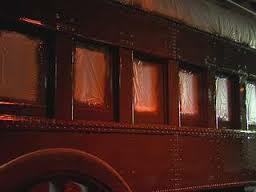 This society today no longer owns the restored Death Car--they found an interested buyer. Ruth Ann Musick is my favorite folklorist from West Virginia. She is deceased but I always wonder if she might one day return as a ghost for her favorite tales to collect were ghost stories. 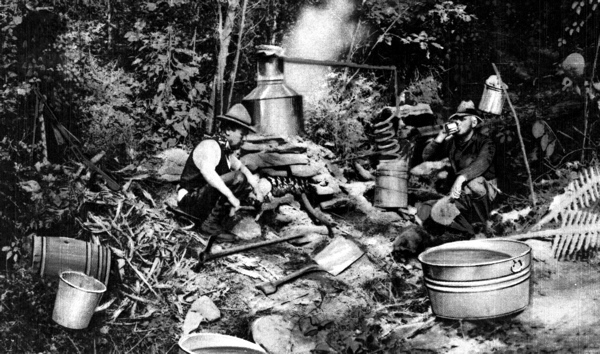 During Prohibition stills and moonshiners could be found all over West Virginia. One still was located in Smith Hollow. Charley Smith who built this still was an odd sort. He was a confirmed bachelor and had only one true friend--Jim Hayward. 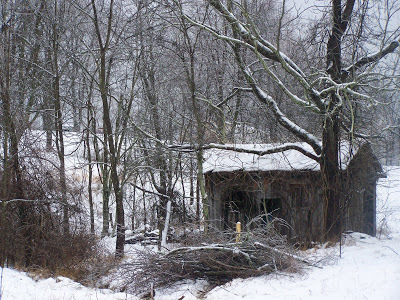 Both men lived in Smith Hollow and most every Friday at midnight Charley would make moonshine. Charley and Jim were the only two who knew where this still was located so Charley had Jim stand watch while he made the corn liquor. The two men had an agreement that if Jim spotted someone coming up the path he would whistle like a whippoorwill. On several occasions he had warned Charley with this signal. After Charley made the liquor the two men would grab tin cups they hid in a nearby oak tree and drink their weekly portion. Jim started to resent Charley for he noticed that he poured himself twice as much as he gave him. He became more and more bitter but he never expressed his displeasure because he feared Charley would stop sharing his liquor. Jim being a much older man died one snowy Friday evening. Charley continued to make his weekly treks to the still. The Friday after Jim passed something unusual happened while Charley made a batch of liquor --he heard the familiar whistle of a whippoorwill. Charley heard the sound of the whippoorwill again and then the clatter of tin cups. Then all was silent. After this, every Friday night Charley heard the call of the whippoorwill and then the sound of tin cups banging together. A year later, Charley was up at the still making his usual batch of liquor when something extra happened. He heard the sound of the whippoorwill and the tin cups hit but this night he glanced over at the oak tree. To his amazement he saw Jim standing there holding a tin cup. Jim saluted Charley and said, “I finally got my fair share of the moonshine.” He then disappeared still holding the tin cup. Terrified Charley ran all the way back to his cabin. He never again heard the whistle of the whippoorwill or the clatter of tin cups. Jim apparently satisfied--never made another appearance. 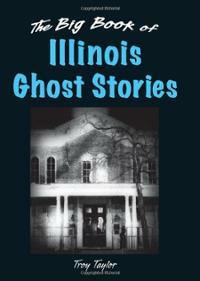 This ghost story is always presented as a” first person” account. It holds the reader in suspense and has a scary surprise ending. 24 years have past but what happened to me when I was 6 years old still haunts me. My parents where killed in a car accident when I was two and I was given into the custody of my strict maternal grandmother. 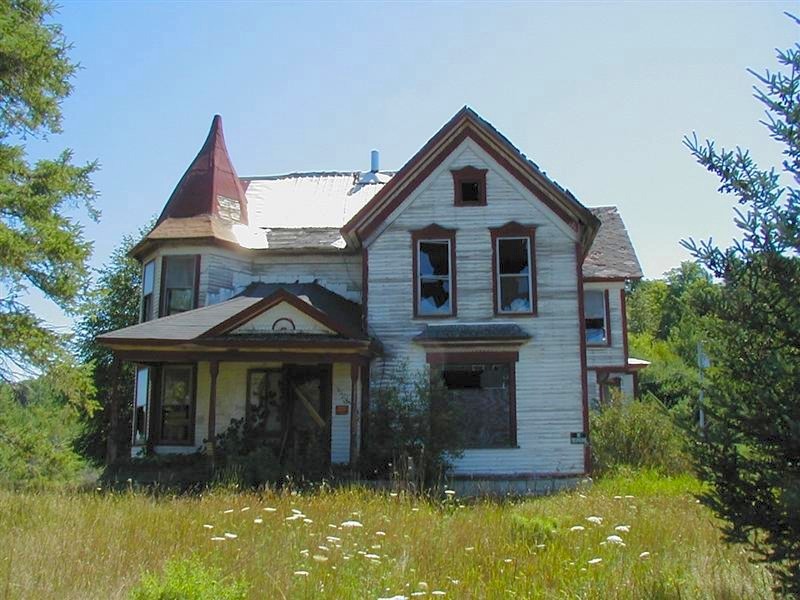 She lived in an old farmhouse in the middle of a neglected field. The house from the outside looked as if it were abandoned. It was the summer that I turned six years old when I first decided to defy my grandmother’s wishes. For sometime I had been curious about the old attic that lay directly above my bedroom. For a reason not revealed to me my grandmother had sternly warned me that I was never to go into the attic. Unfortunately, this warning only piqued my interest. One late Tuesday evening I made up my mind. My grandmother had retired for the night so I headed toward the attic. My heart beat faster as I walked up the old squeaky attic stairs. Later I knew that my decision to explore the attic was the worst possible choice that I could have made. I don’t know what I expected to find but the room was darker and colder than the rest of the house. I reached around the door to turn on the light switch only to discover it didn’t work. I stepped further into the room shining a flashlight around. At that age I hoped to find a toy or even better yet, a ball. I found neither but as I reached the other side of the room I stopped abruptly at the sight that lay before me. Horrified, I realized that I was looking down at the cold still form of my grandmother’s corpse. My grandmother had been dead for some time. It was her ghost that had been looking after me in recent months.